I don't know about you but I do struggle with getting a good nights sleep! I love my bed and being cozy but getting off to sleep as always been tricky for me due to my health condition. I feel this sometimes shows in my skin and it appears dull, grey and don't get me started on my dark circles! 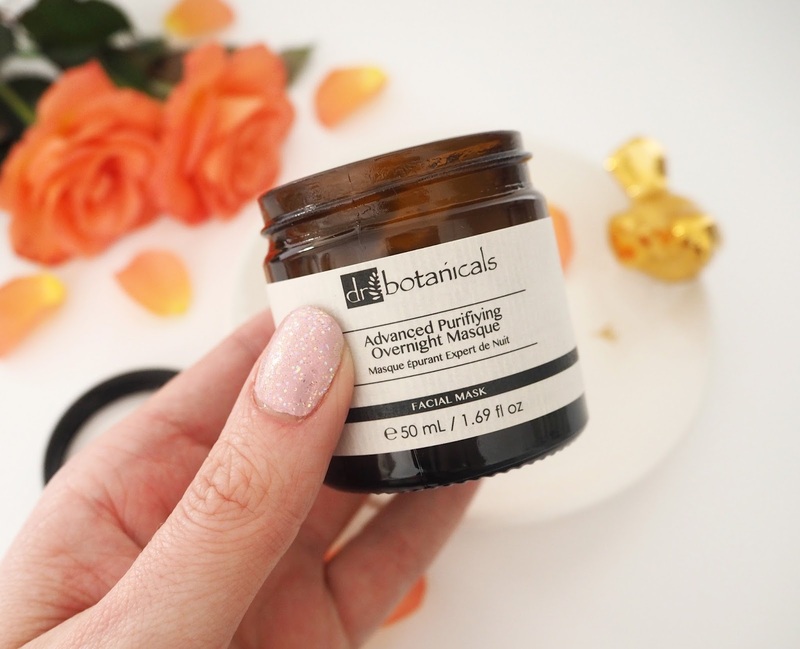 March is National Bed Month so Dr Botanicals are featuring their Advanced Purifying Overnight Masque to help improve our skin whilst we sleep. Skin cell regeneration almost doubles at night and so it’s important that we aid our skin’s night time repair efforts by using products that contain moisturising and repairing actives. 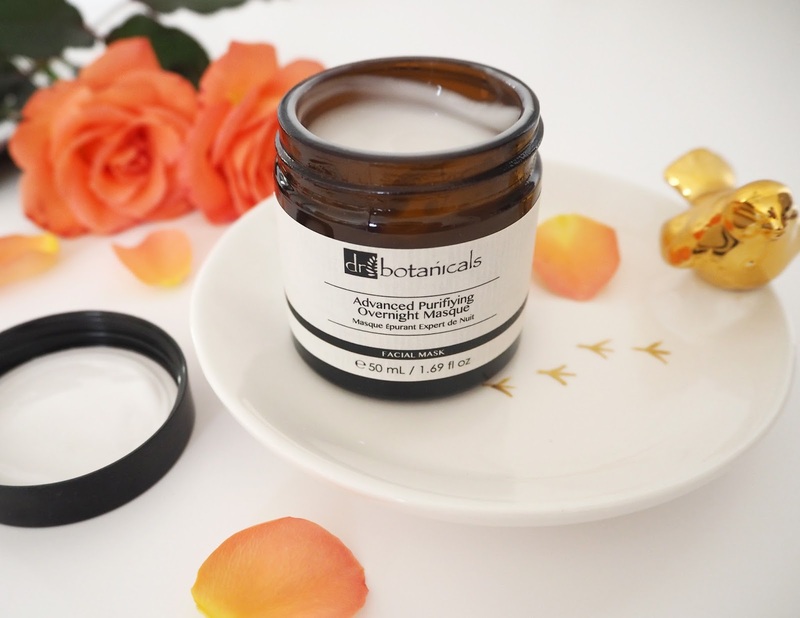 The Advanced Purifying Overnight Masque is an intensive night time mask which soothes, lifts and regenerates your skin while you sleep, making the most of the skins repair time. 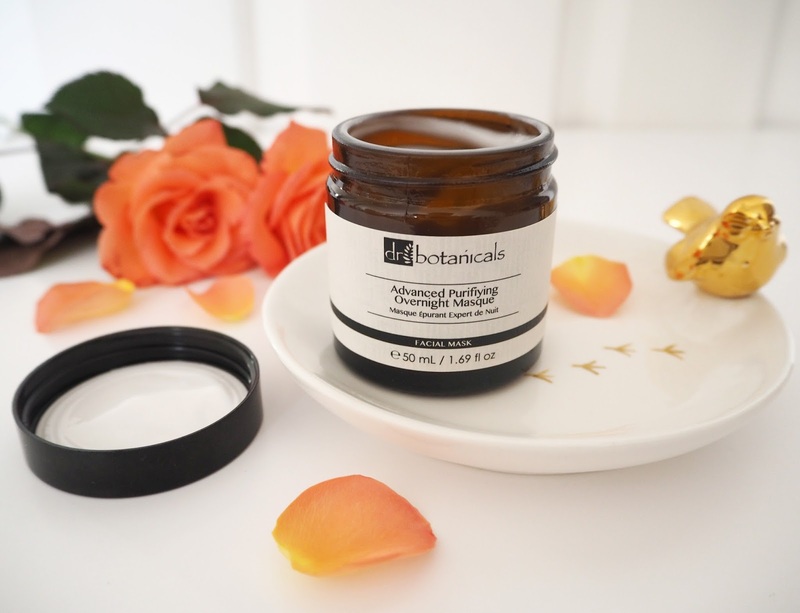 As we sleep, the temperature of our skin drops and we start to lose moisture, so this night cream is the perfect way to help repair the skin whilst retaining moisture. I've been lucky enough to try this product before and no word of a lie it lasted me 4 months! I used it to the very last drop so that in itself shows how much I loved it and I think is definitely worth investing in. You apply a light layer to clean, dry skin each night after cleansing toning and using any facial oils or serums if you choose. 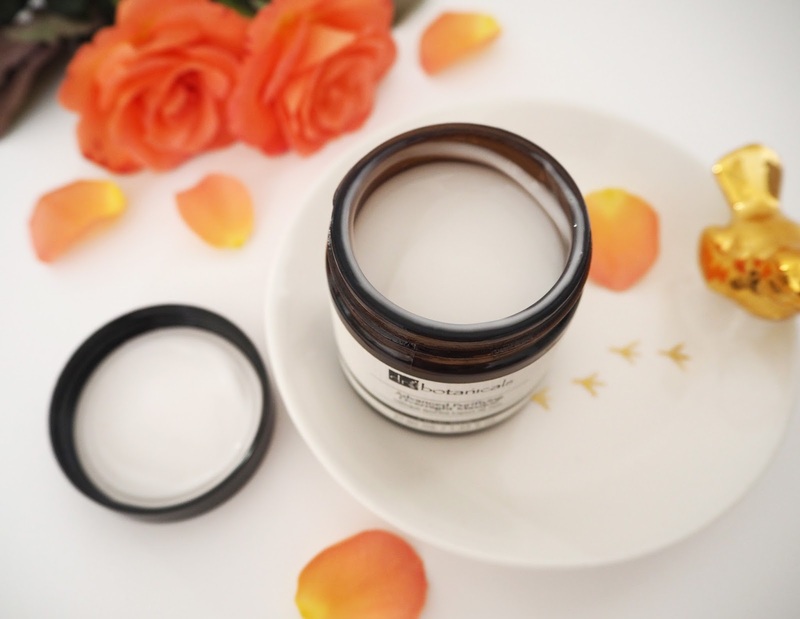 It's quite a light textured cream which absorbs quickly into the skin yet feels incredibly nourishing. Personally I prefer this to a thick, heavy cream which isn't what I like to feel at night time (or another other time for the matter). I love the scent so much and find it quite relaxing, you really get the exotic Papaya scent coming through. I think once you start using a product regularly at night you start associating it with bed time which will aid relaxation. Papaya | is rich in minerals as well as Vitamin C, which regenerates cells and boosts skin radiance for younger-looking skin. Jojoba Oil | enhances skin's natural suppleness and elasticity. Sweet Almond Oil | is renowned for its soothing, softening and moisturising properties, containing essential fatty acids as vitamins A, B1, B2, B6 and E; all essential for healthy skin. Dr Botanicals Skincare products are all created using natural ingredients (no parabens or preservatives), are Vegan friendly and cruelty-free. Hence will be a welcome gift to everyone! I'm already planning on introducing some of my vegan friends to this range. During the month of March you can buy this Night Cream at an amazing discounted price of £19.99 (down from £67!) - so a great bargain. Simply enter this code at the checkout. I think this would make a perfect gift to pamper your loved one whose been suffering with lack of sleep or for Mother's Day (drop some hints!). Or even better just treat yourself! The code is valid only until the end of March. Other tools I use to help me sleep include: a cooling gel eye mask, pillow spray, table fan (white noise is vital for me!) and I often listen to some relaxation music as I getting off to sleep. What are your top tips for a perfect beauty sleep? Oh I have wanted to up my skin care routine as I grow older! This sounds wonderful! I didnt know that our skin cell regeneration almost doubles at night! I really need to try this!